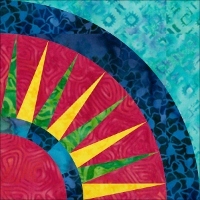 This is a great print from Galaxy Fabrics, a new company for us. 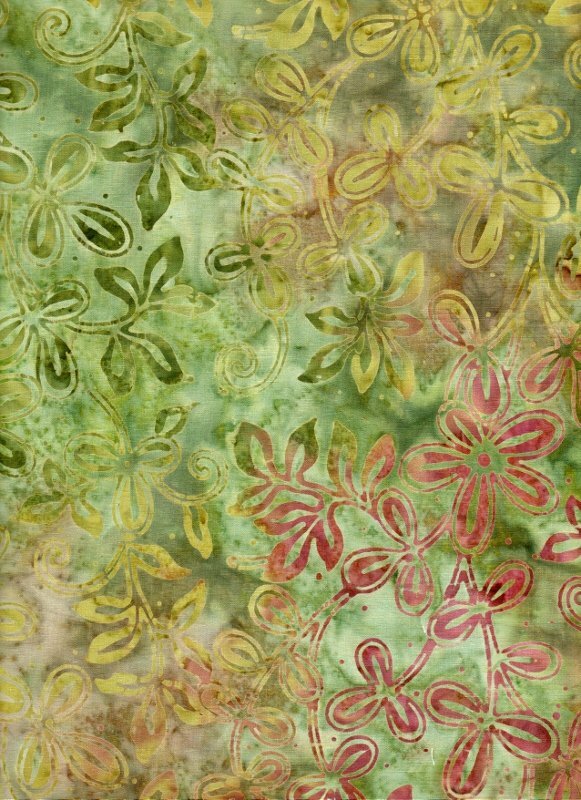 A background of various medium to light greens and brown are covered with a block print leaf/vine motif. The overall effect is a cactus green. 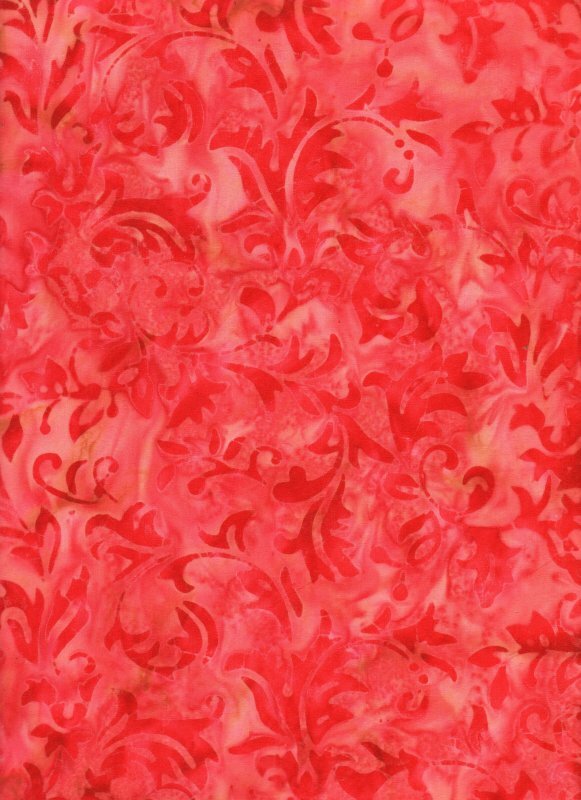 From Galaxy Batiks, this is a gorgeous red leafy scroll print on a mottled light red background with hints of coral and pink.